**Due to shipping cost we require a $ 50.00 minimum order of race deck tiles (any color combination) to receive free ground shipping. In Stock: Most orders ship within 1-3 business days. 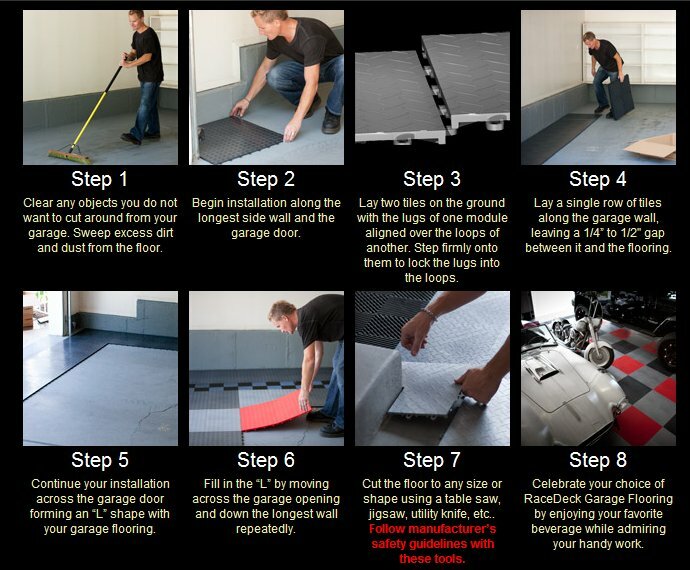 With the patented CircleTrac, you get a classic garage flooring style with the most advanced garage flooring system on the planet. The coin-top tread delivers not only a great-looking floor, but also added slip resistance.